Dr. 90210 is a popular television series, featuring a variety of aesthetic physicians who practice in and around Beverly Hills, California. The show is known for its behind the scenes look at the reasons why patients desire cosmetic surgery. It also features actual surgical footage and postoperative follow-up care with each patient. Doctor 90210 has been a hugely successful form of advertising for the doctors who participate in the program, making each of them into superstars, in their own right. This essay takes an in-depth look at this fascinating television series. The star of the show is definitely Dr. Robert Rey, who personifies the mind-body-spirit approach to plastic surgery. 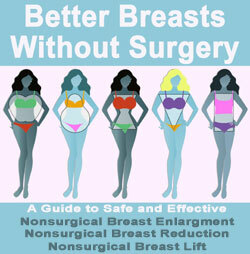 Dr. Rey is a noted breast surgery specialist who can achieve truly unbelievable results with minimal scarring. 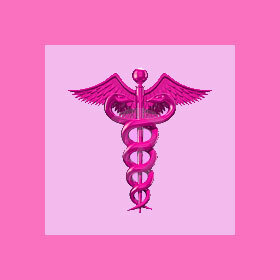 Other featured breast surgeons include Dr. Linda Li, Dr. Gary Motykie and Dr. Bryan Evans. Additional featured characters include Dr. Will Kirby, Dr. Gary Alter, Dr. Jason Diamond, Dr. David Matlock and Dr. Susan Evans. Some of the best moments in the show involve the personal interactions between the doctors and their families. While living in the public eye must be difficult for these health professionals, the behind the scenes look at their lives makes for some very interesting television. The show deserves a lot of credit for its educational value. While the program is very entertaining and lighthearted, it still delves deeply into each patient’s case profile. Every patient is interviewed in detail about the emotional and physical issues which drive their desire to undergo cosmetic or reconstructive surgery. They are examined so that the audience can see the physical condition they have been living with for many years. The camera even goes into the operating room to detail the actual surgical procedure, demystifying the process and eliminating the fear of surgery faced by many potential patients. Finally, the patient is followed during their post-operative care and final surgical results are revealed once their wounds have healed. The show certainly presents a very realistic depiction of how cosmetic and plastic surgery can change a patient’s life for the better. If you are a person who is interested in undergoing a cosmetic or reconstructive procedure, we highly recommend watching this program. Over the course of several episodes, you will learn much about general and specific surgical procedures and will be able to see inside the aesthetic surgical industry. Once you see how the doctors operate, you will be less frightened of the great unknown most patients fear prior to surgery. Best of all, seeing all those satisfied patients receiving life-altering procedures is a very heartwarming and positive experience. Warning: The show does depict some actual surgical procedures and can be quite graphic at times. Viewer discretion is advised for sensitive people and younger audiences.